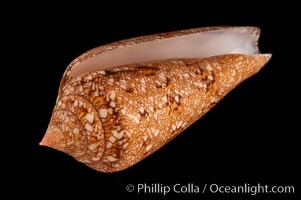 Notable: Among collectors, the shell of the Glory of the Seas cone snail, Conus gloriamaris, has special significance. 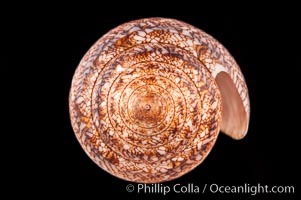 For many years it was one of the most sought after, and considered one of the most rare, shells in the world. 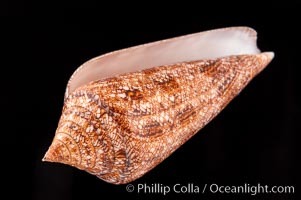 Its elegant beauty, and moderate rarity even today, continues to elevate the Glory of the Seas above most other cones in terms of desirability. For a century after its description by Chemnitz in 1777, Conus gloriamaris was known from a relative handful of specimens and it developed a historic notoriety. 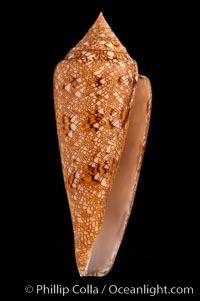 In 1792 it was published that an earnest collector of Conus species, Chris Hwass of Denmark, purchased a Glory of the Seas at auction only to immediately destroy it in an effort to reduce the known population of specimens by one, thus making his other specimen that much more valuable. A mid-1800's report testified that the only known locale at which Conus gloriamaris was thought to be found alive was destroyed by earthquake, driving the rare species into extinction and making the known specimens spectacularly valuable. As recently as 1957, only two dozen specimens were known to exist and auction prices were well above $1000 apiece. Ten years later, the number of known specimens tripled as collectors discovered New Guinea collecting grounds. 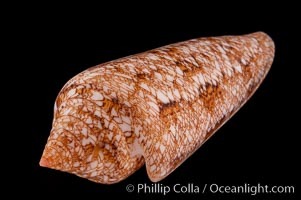 In 1969, a pair of divers found over a hundred live specimens at Guadalcanal in the Solomon Islands and the rarity of Conus gloriamaris was history. Nevertheless, the shell's historic significance and mystique continue. 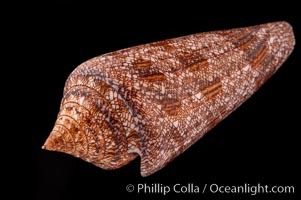 The Glory of the Sea Cone can now be afforded by most collectors, enabling them to possess an example of what was once the most pursued shell in the world, and what is still one of the most beautiful to behold. 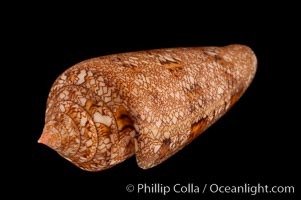 Glory of the Sea cone shell, brown form. The Glory of the Sea cone shell, once one of the rarest and most sought after of all seashells, remains the most famous and one of the most desireable shells for modern collectors. Glory of the Seas Cone, Conus gloriamaris Photo. Glory of the Sea cone shell, gold form. The Glory of the Sea cone shell, once one of the rarest and most sought after of all seashells, remains the most famous and one of the most desireable shells for modern collectors. Glory of the Seas Cone, Conus gloriamaris Picture. Glory of the Sea cone shell, gold form. 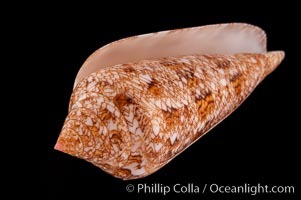 The Glory of the Sea cone shell, once one of the rarest and most sought after of all seashells, remains the most famous and one of the most desireable shells for modern collectors. Stock Photography of Glory of the Seas Cone, Conus gloriamaris. Glory of the Sea cone shell, gold form. The Glory of the Sea cone shell, once one of the rarest and most sought after of all seashells, remains the most famous and one of the most desireable shells for modern collectors. Photograph of Glory of the Seas Cone, Conus gloriamaris. Glory of the Sea cone shell, gold form. 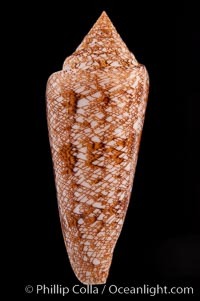 The Glory of the Sea cone shell, once one of the rarest and most sought after of all seashells, remains the most famous and one of the most desireable shells for modern collectors. Glory of the Seas Cone, Conus gloriamaris Photos. Glory of the Sea cone shell, gold form. The Glory of the Sea cone shell, once one of the rarest and most sought after of all seashells, remains the most famous and one of the most desireable shells for modern collectors. 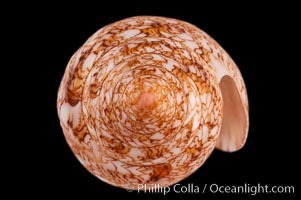 Glory of the Seas Cone, Conus gloriamaris Image. Glory of the Sea cone shell, brown form. 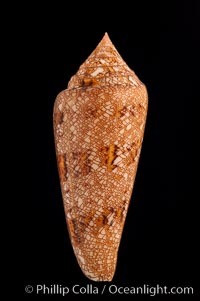 The Glory of the Sea cone shell, once one of the rarest and most sought after of all seashells, remains the most famous and one of the most desireable shells for modern collectors. Professional stock photos of Glory of the Seas Cone, Conus gloriamaris. Glory of the Sea cone shell, brown form. 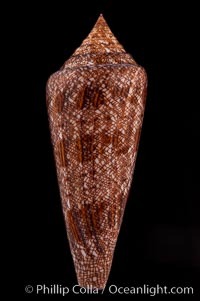 The Glory of the Sea cone shell, once one of the rarest and most sought after of all seashells, remains the most famous and one of the most desireable shells for modern collectors. Pictures of Glory of the Seas Cone, Conus gloriamaris. Glory of the Sea cone shell, brown form. The Glory of the Sea cone shell, once one of the rarest and most sought after of all seashells, remains the most famous and one of the most desireable shells for modern collectors. Glory of the Seas Cone, Conus gloriamaris Picture. 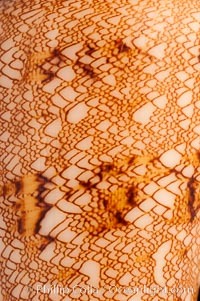 Detail showing tenting pattern, Glory of the Sea cone shell, gold form. The Glory of the Sea cone shell, once one of the rarest and most sought after of all seashells, remains the most famous and one of the most desireable shells for modern collectors. Professional stock photos of Glory of the Seas Cone, Conus gloriamaris. 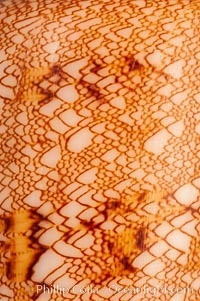 Detail showing tenting pattern, Glory of the Sea cone shell, gold form. 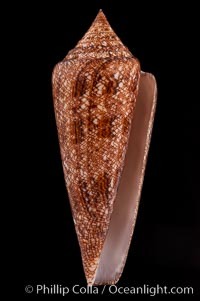 The Glory of the Sea cone shell, once one of the rarest and most sought after of all seashells, remains the most famous and one of the most desireable shells for modern collectors. Pictures of Glory of the Seas Cone, Conus gloriamaris.